On a recent trip to Maine, we stopped by the L.L. Bean flagship store in Freeport, where L.L.Bean is headquartered. 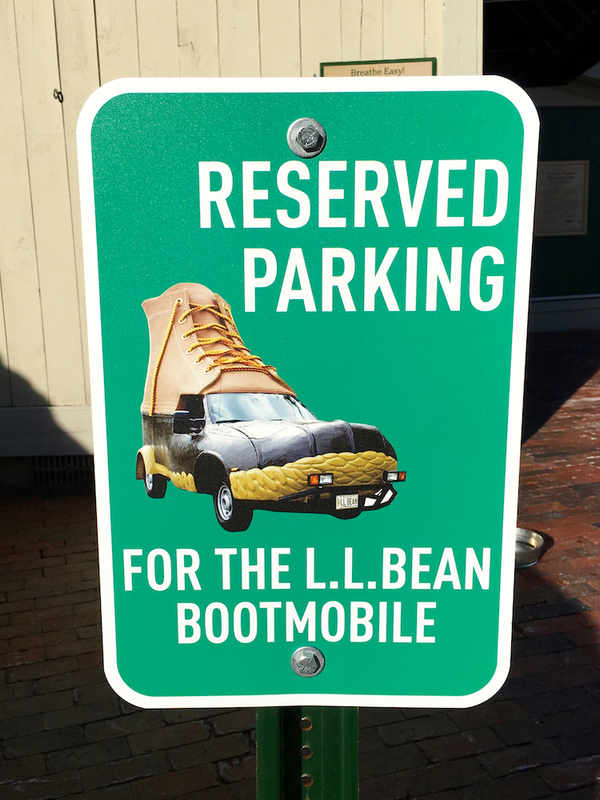 There we spotted a wonderful L.L.Bean Bootmobile, one of the two art car replicas of their classic boot. The Bootmobile is currently on tour, you can follow its adventures on Twitter and Instagram. The original L.L.Bean Boot was designed to help people enjoy the outdoors – and our larger-than-life mobile replica was too. The Bootmobile has covered more than 160,000 miles, appeared at hundreds of events in 14 states and dozen college campuses, and made tracks to every L.L.Bean store.